Use this nice-sized bottle for generous use on your stir-fry (see recipes using oyster sauce below). 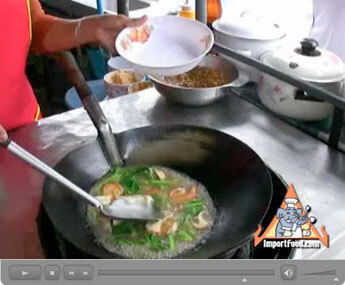 Here's a Thai Street Vendor Video demonstraing the use of oyster sauce also. A common seasoning for many Asian stir fry dishes. Ideal for all seasoning purposes. 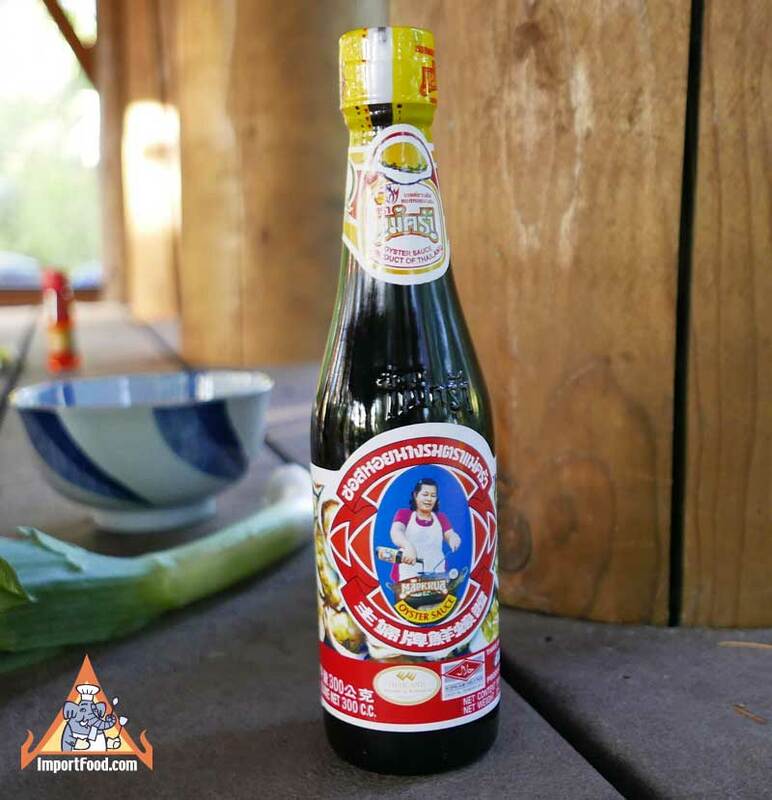 This is a truly premium brand, the manufacturer has decades of experience producing Thailand's finest oyster sauce. Maekrua is the most familiar brand of oyster sauce, having a near monopoly in every household, and for good reason. The flavor is just excellent. You can find cheaper brands on some street vendor carts in Thailand, but Mae Krua is the gold standard for taste and quality. We love to marinate steak with plenty of oyster sauce, a handful of crushed garlic cloves and a little bit of fish sauce. Ingredients: oyster extract, sugar, salt, soybean, wheat flour, corn starch, sodium benzoate. Glass bottle is 10.1 fluid ounce. 11.8 ounce net weight. We also offer a vegetarian oyster sauce alternative.